In this article we will look at one of the most popular indicators in the financial markets – this is the Stochastic Indicator. It is famous for the fact that it can define overbought or oversold zones with maximum accuracy. Surely every trader had situations when opening a deal, she walked in the other direction to hurt the stop loss and then the market still went in the right direction. Looking at this situation, the trader opened a deal, but later than necessary. Accordingly, the market again went against it and it ran into a stop loss. This situation often arises among novice traders, in order to avoid it you can use such an interesting indicator as Stochastic. It will filter out all possible noises and negative transactions that affect the trade. 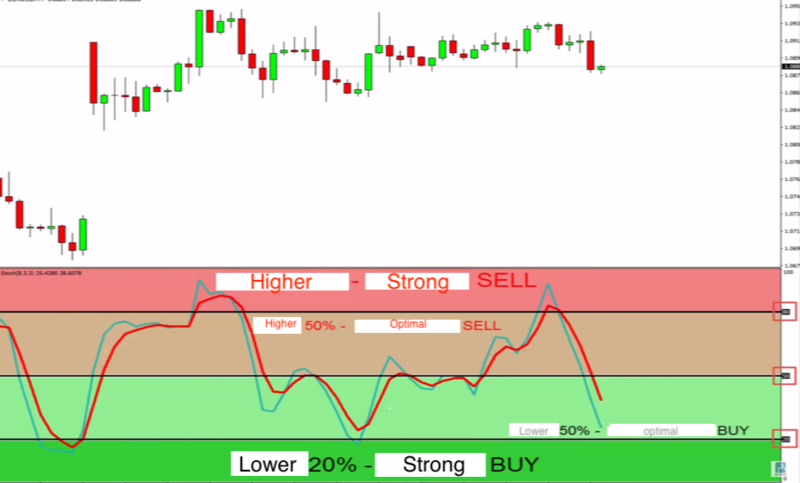 Let’s take a closer look at how the Stochastic Indicator works and how to use it correctly in trading. The Stochastic indicator consists of two moving averages: main and signal. When the main signal stop there is a signal to enter the market. When the main line crosses the bottom-up, a buy signal occurs. But if the intersection occurs from top to bottom – for sale. Accordingly, when receiving these signals, it is very important to understand in which area they are generating. Well, we have figured out how to receive signals on the Stochastic indicator, but there is a very important point that should also be considered. First of all, the indicator also consists of levels – this is the level of 80% and the level of 20%. It is also worth adding 50% to the manual level, which will divide the indicator into two zones: from above the market overbought zone, and from below – oversold. Receiving a sell signal in the zone, for example, overbought market, it will be optimal. However, in order to receive a sell signal, a zone above 80% is necessary – this is a rather important and conservative signal that will give an opportunity to go to the earliest possible stages of a trend. 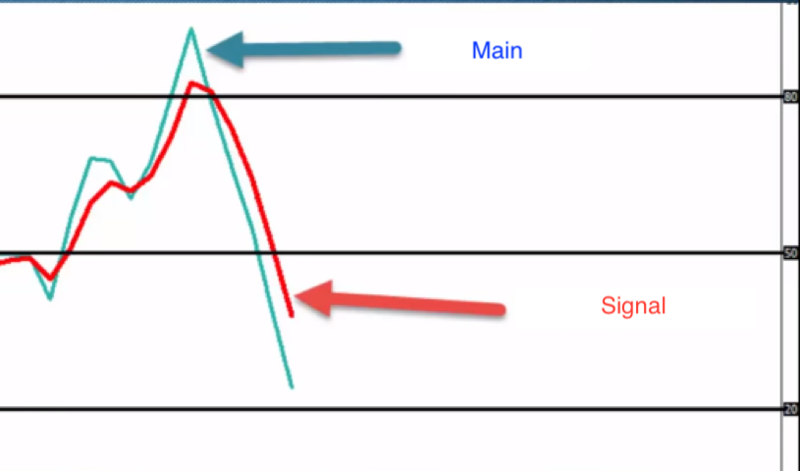 It is also diametrically opposite, receiving a buy signal in the oversold area of ​​the market below 50% – there will be an optimal signal that will allow entering the market, in fact, at the beginning of a trend. However, to enter on a buy indicator signal below the 20% zone is as interesting as possible, since this is the so-called conservative signal, which will allow you to enter the market at the beginning of the buy trend. It is also worth noting that when trading, you can choose the most suitable time intervals for yourself in order to make transactions correctly. For example, many traders choose the Stochastic indicator to analyze the market directly on the daily, 4-hour chart in order to understand the potential movement of the daily trend. If you open a trade, for example, on the hourly chart, at 10 minutes or at 15 minutes, then the Stochastic indicator will incorrectly display points for entry. In the Forex market, there are lots of options for strategies, using various indicators. Proper construction of the work, testing of various indicators and strategies plays an important role in the development of its own profitable trading. ← Why did Olymp Trade stop its activities in Russia?